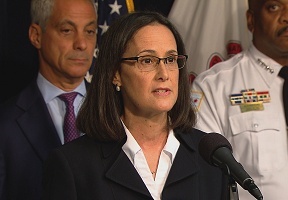 Attorney General Lisa Madigan on Tuesday demanded that U.S. Attorney General Jeff Sessions immediately withdraw and stop enforcing two inhumane immigration policies that tear children away from families while seeking asylum entry at the border and deny asylum to survivors of domestic and gang violence. “It is horrific and shameful that the federal government is tearing children away from their parents as they attempt to enter our country for a better and safer life. Turning away survivors of domestic violence is no less merciless,” Madigan said. “Our country’s ideals are rooted in empathy, justice and compassion. The federal administration’s complete disdain for women and children betrays American values.” In a letter to Attorney General Sessions, Madigan said the federal administration’s “zero-tolerance policy” toward immigrants that began in April has no legal basis. As far back as 2005, Congress has cautioned the Department of Homeland Security (DHS) against separating immigrant families. 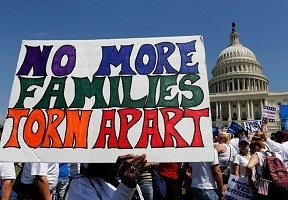 It stated that “[c]hildren who are apprehended by DHS while in the company of their parents are not in fact ‘unaccompanied;’ and if their welfare is not at issue, they should not be placed in ORR [Office of Refugee Resettlement] custody.” Madigan said the administration’s policy of separating families who are attempting to enter the U.S. violates that directive. In addition to her letter, Madigan also joined with 20 other state attorneys general in sending a similar multistate letter to Sessions.